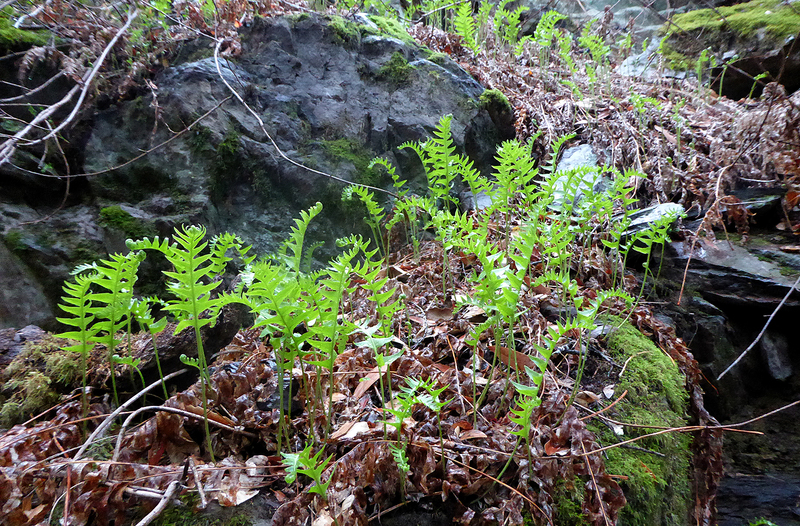 For the first time on the trail today, I noticed that the ferns are coming back. At the place I call Fern Glen, on the trail that connects the Montini Preserve with the Sonoma Overlook Trail, they are shooting up fairly quickly, in response to the off-and-on light rains we have had recently (see pic). This is very nice to see. It’s a sign that we are getting enough moisture to renew plants such as these which rely upon dampness. As is probably quite obvious, winter is coming. It’s just nice to see the weather signs that indeed it is.